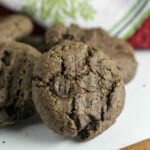 As I brainstormed about another holiday cookie recipe to share, I knew that I wanted it to be something chocolatey this time. But I also knew that you all have been loving my vegan maple pecan cookies and vegan oatmeal raisin cookies, both of which are made of a base of toasted nuts. This quickly led me to a light bulb moment of combining chocolate and hazelnut to make a sort of grown-up, dairy-free, deconstructed Nutella. 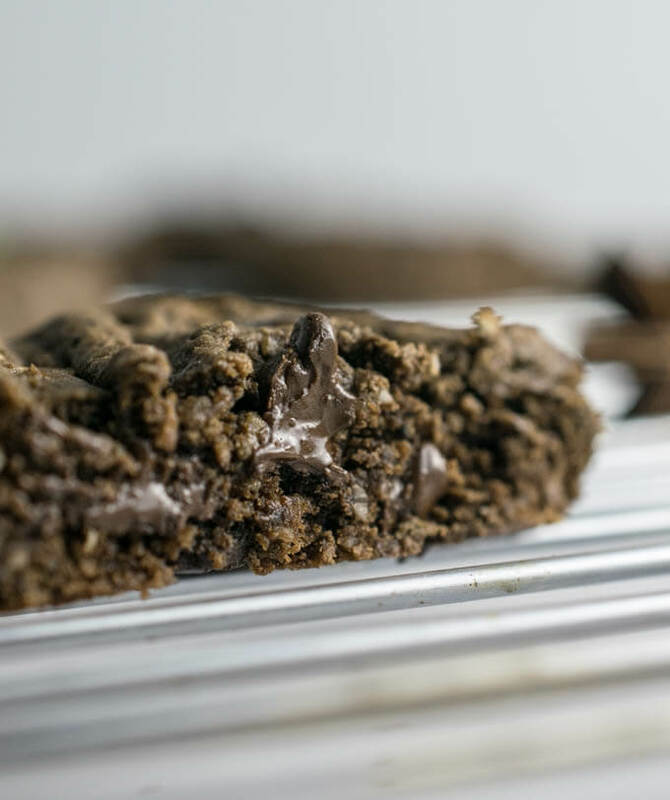 That’s how these vegan chocolate hazelnut cookies were born. They are a little bit crispy, a little bit chewy, and have an intense hazelnut flavor complemented by two forms of chocolate. I recently started a new experiment of bringing my leftover cookies to coworkers. (I’ve been making a lot of cookies lately…). It’s either that, or I eat way too many. I’ve tried freezing all of the dough except for enough for just a few cookies… and then found myself eating the dough straight from the freezer. Someone please send help. 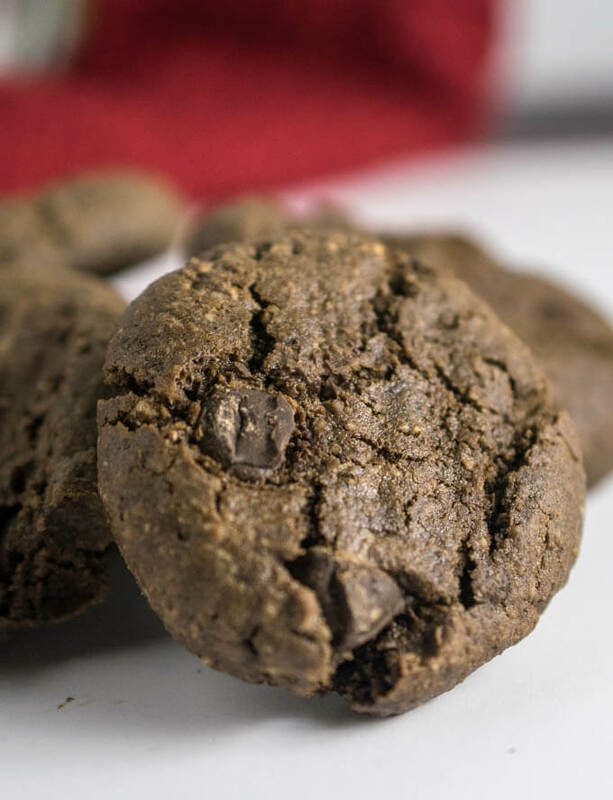 At work, responses to these vegan chocolate hazelnut cookies ranged from: “chocolate is vegan! ?” to “these are surprisingly good!” to “please move these away from me so that I stop eating them”. It was overall a success and I will be repeating it, although moving them to a communally agreed-upon location within the office :). There is now another group of people in the world who know just how delicious vegan baked goods can be. I encourage you to continue spreading the love this holiday season by whipping up a batch and surprising the critics. 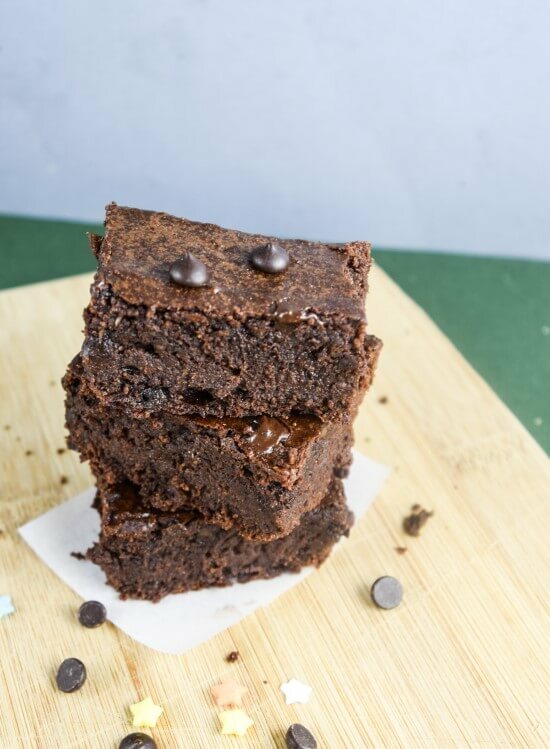 Of course, you definitely don’t need to be a vegan on a mission to make and enjoy these. They’re a great choice for anyone looking for, frankly, just a really tasty chocolatey, hazelnutty cookie. Like with the maple pecan version, I have again made these gluten-free so that everyone can enjoy. But seriously, if you didn’t know, you wouldn’t have the faintest idea that there’s no wheat, eggs, or dairy in them. They are so packed with toasted hazelnut flavor and chocolate chips that you can only focus on the deliciousness. Plus, as with most of my dessert recipes they are refined sugar-free, naturally-sweetened with maple syrup and coconut sugar. 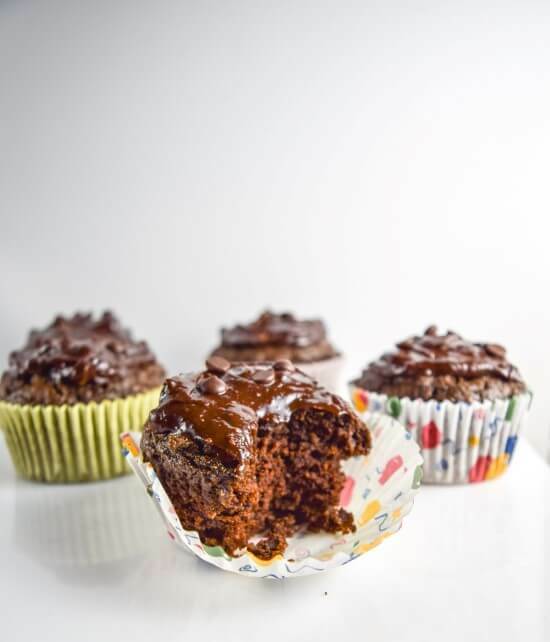 For best results, please follow the recipe by the weights listed for the dry ingredients; however,the volumetric measurements will also give you a good outcome! FYI, I measure my flour by gently scooping it out of the container, taking care not to pack it. 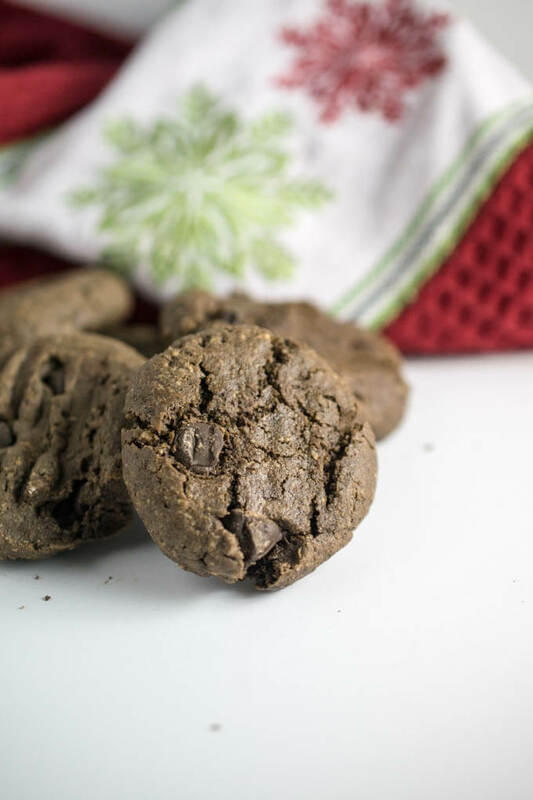 These chocolate hazelnut cookies are perfect for the holidays! I hope you enjoy them. 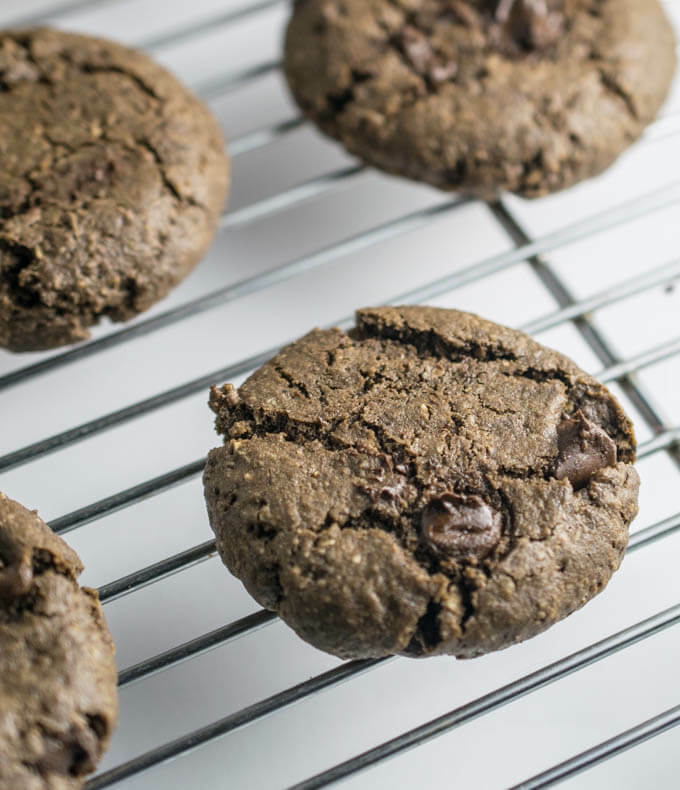 Vegan chocolate hazelnut cookies, full of toasted hazelnut flavor and two forms of chocolate. 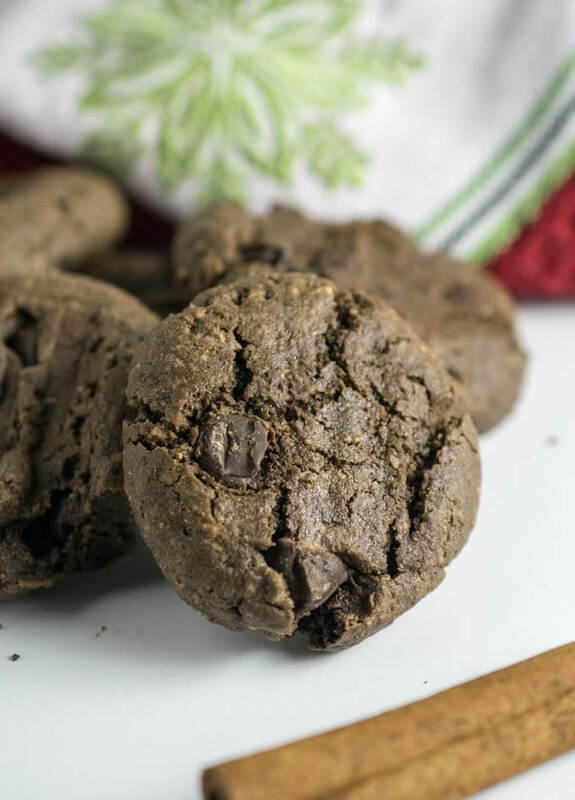 Gluten-free and naturally-sweetened, but totally indulgent-tasting, these cookies will please everyone at your holiday table. In a dry skillet, toast the hazelnuts over medium heat, stirring or tossing them frequently. Toast for 5-6 minutes or until they start to turn golden brown and become fragrant. Remove the pecans from the pan immediately and transfer them into a bowl. Rub the hazelnuts between your hands to loosen and remove the skins as much as possible. It's okay if they don't come off completely (see notes for more tips if you're sensitive to the skins). Transfer the sorta-skinned hazelnuts to a food processor. Pulse the food processor until the hazelnuts form a very fine crumb. In a mixing bowl, stir together the oats, gluten-free flour, cocoa powder, coconut sugar, baking soda, salt, and cinnamon. Transfer the dry mixture to the food processor and pulse to combine. 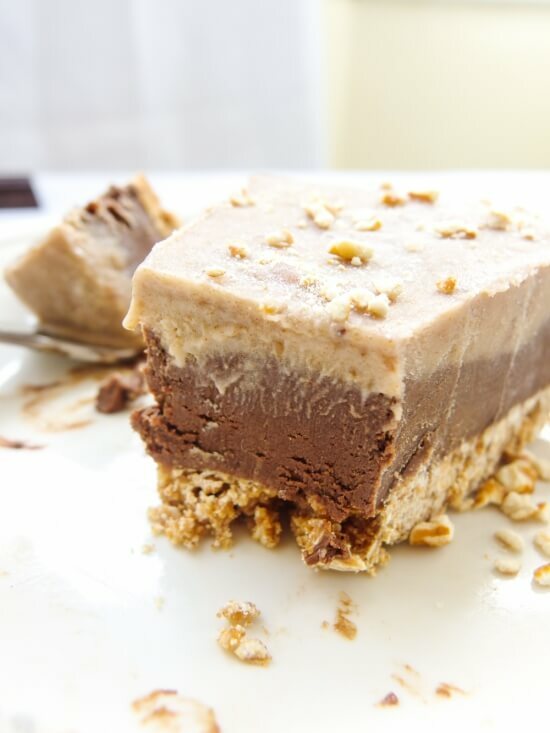 Add the maple syrup, nondairy milk, coconut oil, and vanilla extract, and blend until very smooth, scraping down the sides with a spatula as needed. Scrape the mixture out of the food processor and return it to the mixing bowl; stir in the chocolate chips. I find that a strong fork is the best way to get the chocolate chips evenly mixed in, since the dough is quite thick. Chill the dough in the refrigerator for at least 30 minutes. Preheat the oven to 350 degrees Fahrenheit and lightly grease two baking sheets. Take about 1 and ½ tablespoons of dough at a time (or more or less, depending on what size you want your cookies to be), roll into a ball, then flatten it as you place it on the baking sheet. These cookies only tend to spread a little bit, but do puff up a little bit, so keep this in mind when spacing out the dough balls. This dough can be very sticky. You may need to stop to clean your hands partway through. Bake for 9-11 minutes or until the edges of the cookies are just starting to feel crisp. Take care not to overcook - they can dry out easily. If using two baking sheets, switch their positions halfway through baking. For slightly flatter, chewier cookies, press down on each of the cookies with a fork right when they come out of the oven. Let the cookies cool for a few minutes before carefully removing them with a spatula (they may stick if you try to pick them up directly). Leftover cookies keep in an airtight container at room temperature for a couple of days. Unused raw cookie dough can be kept in the refrigerator or freezer and used later. If frozen, thaw in the refrigerator before baking. I personally don't mind hazelnut skins at all, but I know that some people find them bitter. This seems like a great tutorial for completely removing hazelnut skins. As the author of that tutorial points out, it might take longer to toast the hazelnuts after the blanching and skinning procedure, so just keep that in mind. These look delicious – for the holiday season of any time!